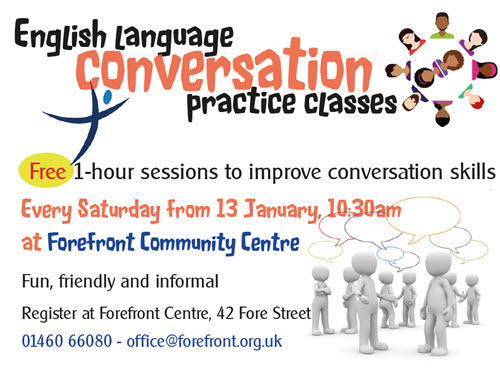 English Conversation classes will begin again in the new year, every Saturday from 13 January, 10.30am at Forefront Community Centre. The classes are fun, friendly and informal. For more information or to book come to Forefront Community Centre, on Fore Street; call 01460 66080; or email office@forefront.org.uk. Hope to see you there!